The collapse of classic Maya civilization at the end of the eighth century A.D. is still an enigma, but the story behind it is likely more than a clash of warring city-states. New research indicates that ecological degradation and nutritional deficiency may be as important to our understanding of Maya cultural processes as deciphering the rise and fall of kings. Reconstructing Ancient Maya Diet integrates recent data from bone-chemistry research, paleopathology, paleobotany, zooarchaeology, and ethnobotany to show what the ancient Maya actually ate at various periods (as opposed to archaeological suppositions) and how it affected the quality of their lives. It is now evident that to feed a burgeoning population the Maya relied on increasingly intensive forms of agriculture. 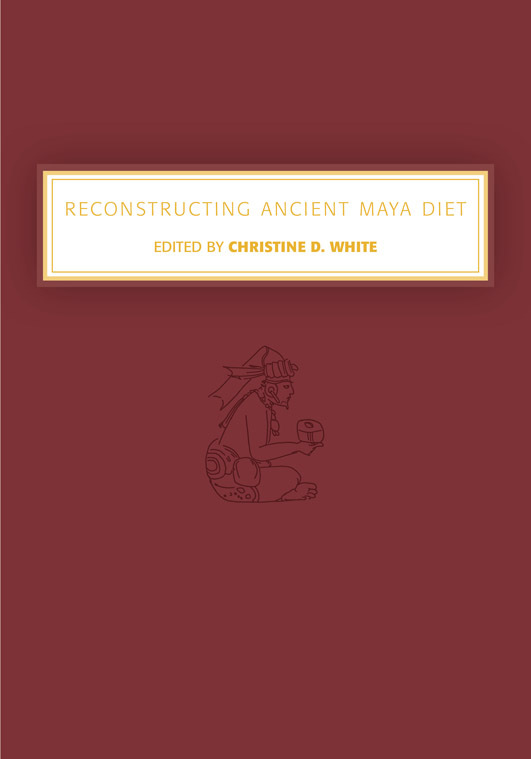 Exploring the relationship between these practices, ecological degradation, and social collapse, this book uses dietary data to investigate the rise of agricultural systems and class structure; the characterization of social relationships along lines of gender and age (i.e., who ate what); and the later effects of the Spanish conquest on diet and extant modes of agriculture. Maya subsistence has been investigated intensively for the past two decades, but this is the first volume that unites work across the spectrum of Maya bioarchaeology. Christine White is associate professor of anthropology at the University of Western Ontario.